Ancient Egyptians believed that every human personality had a force called ka. The concept of Ka is similar to the idea of a human soul. 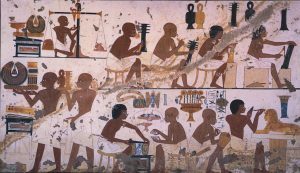 Egyptians also believed that this force of life continued its existence after the death of a body and that it kept engaging in activities that the human it belonged to enjoyed during his or her life on earth. They also thought that ka kept living in the same physical body, which is why they started mummifying the bodies of the deceased. Egyptians thought that the souls of the kings kept protecting the country even after the kings were dead, which is why it was so important to preserve the bodies of the royalty. People created special burial chambers for the kings and the members of their families and filled them with everything from body substitutes for the ka to live in to ample supplies and furnishings that ka may need in the future. On February 16, 1923, The Times of London contacted The New York Times with a news about a dramatic archeological discovery. Scientists have entered the sealed chamber of the Tutankhamun’s tomb and found there an entrance to yet another room, where the body of the king was located. The chest was covered with flowers and beads and the head was wrapped in linens. The head and the shoulders were also covered by a gold funeral mask. There have been three coffins placed inside of a sarcophagus. 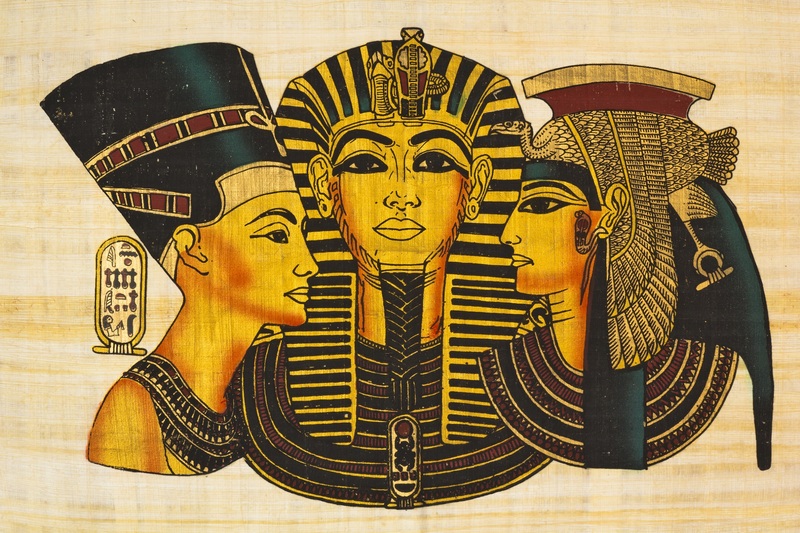 The name of the scientist who discovered the body of the king was Howard Carter. Before this discovery, Carter has worked in Egypt for more than 20 years. He was convinced that the tomb of Tutankhamun was still not found. Carter discovered and entered the tomb on November 4, 1922, and found many treasures in the chamber, including jewelry, furniture covered in gold and more. 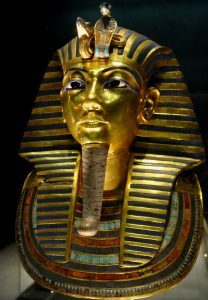 In February 1923 Carter found the body of Tutankhamun. The tombs have attracted looters for many centuries. The expeditions of historians and archeologists have only started happening in the eighteenth century. The first archeological expedition in Egypt arrived there in 1798 with the French military forces. Napoleon thought that he could find great treasures in Egypt, which is why he brought the scientists with him. The job of archeologists and historians was to study ancient Egyptian sites. The military mission failed, but the scientists have definitely succeeded in their mission and have made many astonishing discoveries. The first museum exhibition of the treasures from the tomb of Tutankhamun has also occurred relatively recently, in 1976. During its tour of the United States, the exhibition has received over 8 million visitors. The expeditions of scientists to Egypt continue to this day. One of the recent discoveries includes a tomb with seven coffins found by American Egyptologist Otto Schaden in 2002. This was the first tomb discovered since Tutankhamun’s place of burial in 1922.